A 22-year-old college student has become the first female rock climber to free climb one of the most dangerous ascents in the world. 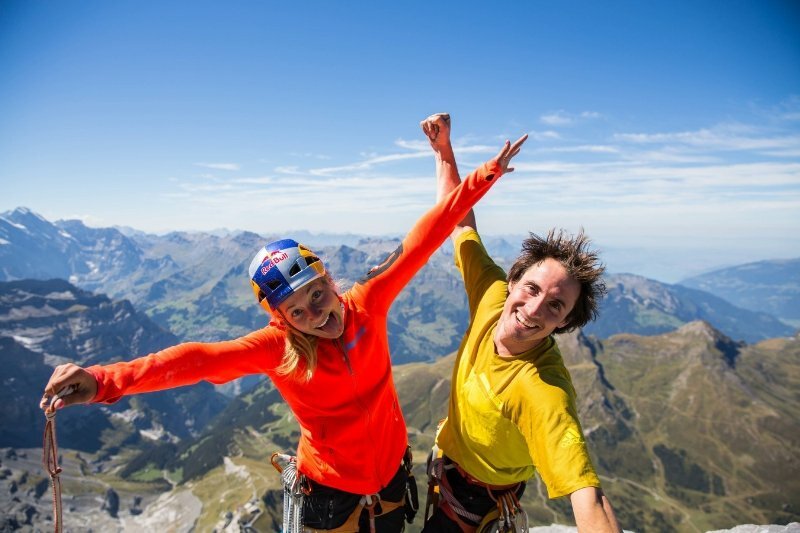 Three-time US National Champion Sasha DiGiulian and two-time sport climbing champion Carlo Traversi, 27, successfully scaled the north face of The Eiger in the Swiss Alps. Climbers have dubbed the 6,000 feet of gray limestone the “murder wall.” But that didn’t stop DiGiulian, who told CBS This Morning, it was the most physically and exhausted she’s ever been. Although the pair were clipped into the wall with safety harnesses, there were definitely spots where you didn’t want to fall, she explained. The pair spent a total of three days on the rock making the ascent which meant climbing with every ray of day light and sleeping on a ledge at night. Leading up there were multiple attempts over the course of three weeks to overcome changing weather conditions, according to a press statement by Adidas Outdoor. So what’s next for this fearless rock climbing phenom? She’s planning an ascent of El Capitan and some ice climbing this winter. “The only way to push to the next level and expand your comfort zone is by putting yourself on new terrain and testing what you’re capable of,” she said.